The rapid development of new technology and the widespread use of the Internet will help more Chinese women to become entrepreneurs, a conference packed with famous names was told on Wednesday. However, they will face more difficulties than their male peers, such as the challenge of maintaining a good work-life balance and prejudice in the business world. “In the future, China’s economy will be mainly driven by the service industry. 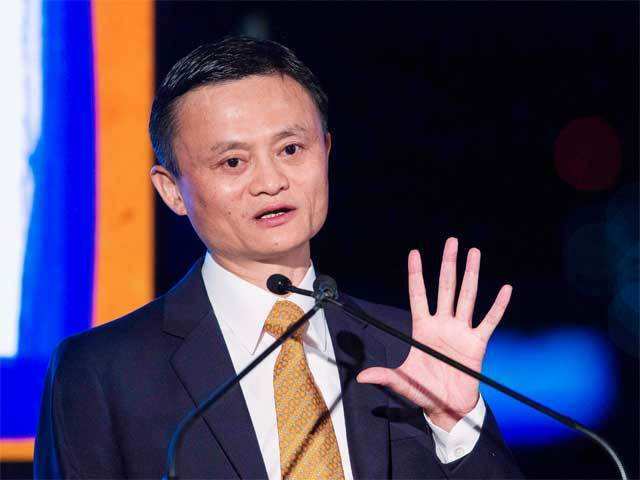 Women, who by nature are more considerate than their male counterparts, will definitely play a larger part,” said Jack Ma, the billionaire executive chairman of Alibaba Group, the world’s largest e-commerce company by business volume. Ma was speaking at a two-day global conference on women and entrepreneurship in Hangzhou, Zhejiang province, attended by more than 800 women. They included Arianna Huffington, editor-in-chief of Huffington Post, and actress Jessica Alba. A growing number of women are taking advantage of the Internet to start businesses. A report published by the China Development Research Foundation in March said 25 per cent of Chinese entrepreneurs are female, a massive increase compared with 10 years ago. Sixty per cent of them are in East China, the powerhouse of the e-commerce industry. Clothing is the most popular sector for Chinese female entrepreneurs, thanks in large part to the e-commerce boom, according to a survey by PayPal. “We excel in imagination. We are thinking in pictures rather than in words,” said Peng Lei, one of Ma’s earliest partners and now one of the 50 most influential female entrepreneurs in Asia, according to Forbes. Alibaba Group Holding Ltd held the Global Conference on Women and Entrepreneurship on Wednesday in Hangzhou, Zhejiang province. The conference is discussing the steps needed to encourage more women to pursue their professional and personal ambitions. Published below are excerpts from some key speakers. Women should remain independent and retain their glamour, said Vicky Zhao, a well-known Chinese actress and director. “I dreamed of being an independent and globe-trotting individual when I was young,” said Zhao. Zhao said despite her marriage, she maintains her independent personality and life. So Young, the 2013 Chinese drama film, directed by Zhao, is a good example of how Chinese people lead their lives. Women should take advantage of their characteristics and not give up on instinct, said Lucy Peng, chief people officer of the Hangzhou-based Alibaba Group Holding Ltd.
“One characteristic of women is that they are fond of having dreams. When I have a new business to start, I often dream of changing the world a bit,” Peng said. Peng said the second characteristic of women is being unreasonable. The third characteristic of women is that they sometimes can be narrow-minded. Peng said women cannot give up their instincts because they are entering a data technology period and it is important to have a clear picture and somatic senses. Women should find ways to relax, she said. Handling pressure, upgrading business and inspiring people are important steps for a startup company, said Liu Qing, president of taxi-hailing company Didi Kuaidi Dache. “In the first month that I joined Didi Dache last year, it was very stressful because I only worked for Goldman Sachs Group Inc previously and my new company had spent a lot of money to compete with Kuaidi Dache,” said Liu. Liu said she faced tremendous pressure because most of her workmates in the new company termed her a “goddess”. She said upgrading business is very important in the mobile Internet sector. Liu said her company is doing a business no player did before, so she has to inspire her workmates, telling them the company’s mission and ways to deal with problems.